Marketers favour Google Search Advertising because of its ability to generate a visible return on investment. If you spend $100 on an ad campaign, you’ll quickly be able to measure the exact return from the budget spent. 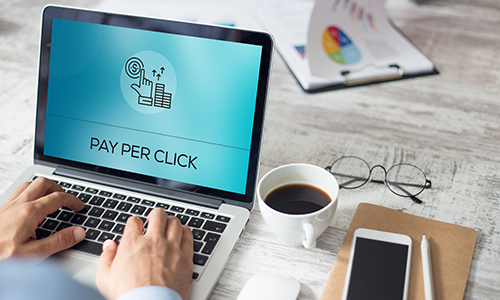 If your business can benefit from more leads and sales, this article covers everything you need to know to get started with Google Search Advertising. What is Google Search Advertising? Google Search Advertising is managed through the Google AdWords platform. Relevant ads are shown based on the keywords people use in their search query. For example, type in ‘plumbers Sydney’ and you’ll see that the first few results are sponsored ads served through PPC. John from John's Plumbing selects the keywords he wants to bid for (i.e. Sydney plumbers). A potential customer searches for a plumber using 'Sydney plumbers' in their search. John's business shows up in the search results. John is only charged if someone clicks on his ad. Google Search Advertising is best suited for businesses with a website that has a product/service offering that people are actively searching for. It’s suited for businesses of all sizes but is particularly great for small businesses as you can run ad campaigns for a little as $100. Why should you use Google Search Advertising over Facebook & Instagram Advertising? Facebook & Instagram Advertising should work cohesively with Google Search Advertising. Where Facebook& Instagram are great for generating brand awareness and building email lists, Google Search Advertising is great for targeting people who are actively looking for your product/service and are ready to buy. The platform is a direct point of conversion. Your Google Search Advertising campaign results are dependent on the industry your business falls under, the campaign budget and landing page conversion rate (i.e. how many people visit your page and take action on your website). On average, Google Search advertisers are seeing a conversion rate of 2.70%. Insurance & Finance: 7.19% avg. There are many strategies you can implement to maximise ROI for your ad budget. Whether you decide to manage your own campaigns or leave them in the hands of experts, it’s important to understand the basics. Prior to setting up your Google Search Advertising campaign, you’ll want to define your objectives. Setting a goal will help you measure the success of your campaigns. It can also help you segment your Google Search Advertising campaigns by objective. Sign up for your AdWords account. If you have an existing Google account you can use the same email address. 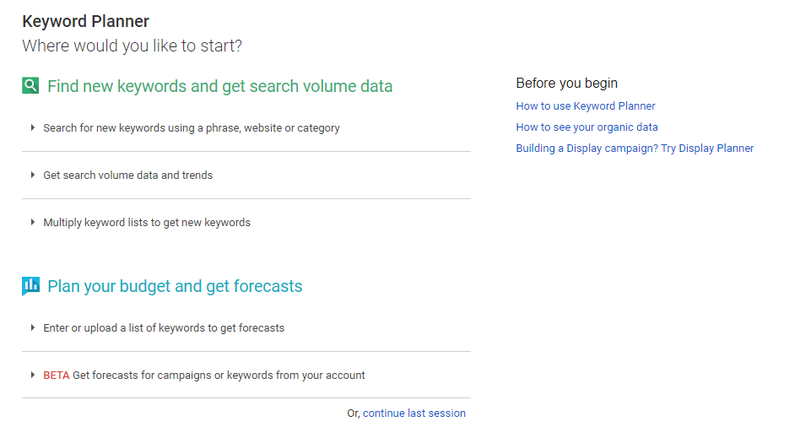 Select your keywords using the Google keyword planner tool. The Google Keyword Planner tool helps you identify keywords that people are using in their search. The right keywords can influence the success of your Google Search Advertising campaign. Take time to do your keyword research to ensure you are selecting keywords your ideal customers are searching for. 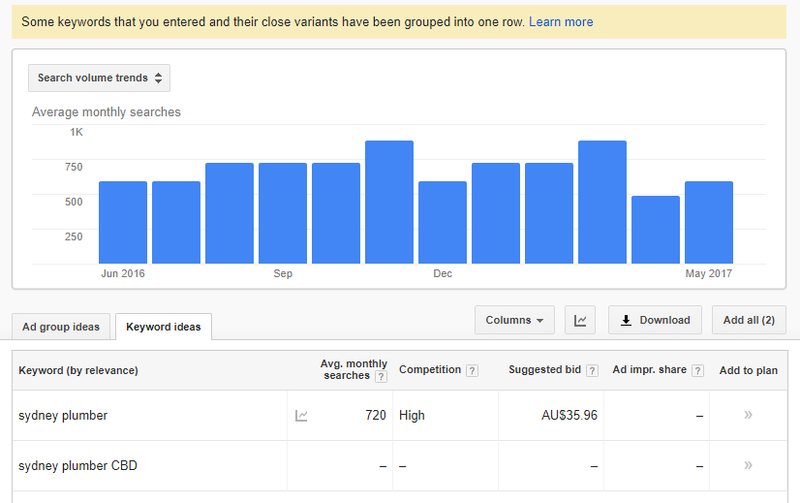 Google’s Keyword Planner can show you search volume data and trends per keyword. Tip: When selecting keywords for your campaign, think like your customers. 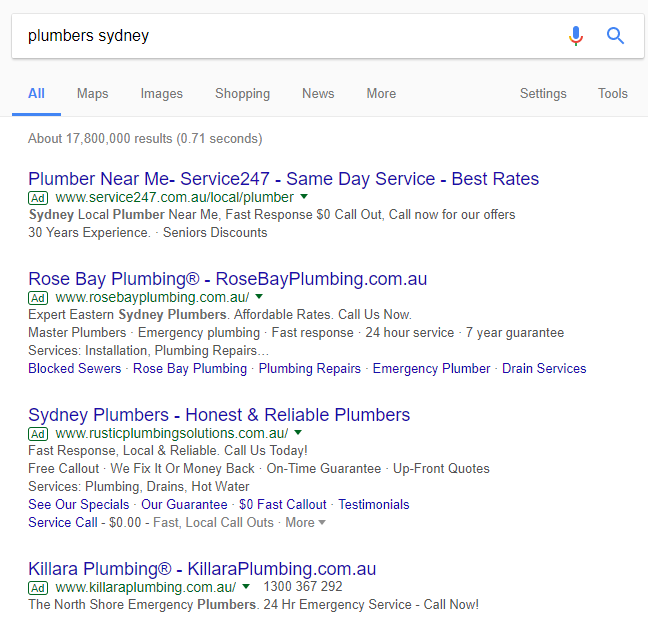 ‘Professional plumber in Sydney’ may be great keywords for your brand but your customers may be using general keywords like ‘best plumber in Sydney’, ‘24 hour plumber in Sydney’, “plumber near me”. When writing copy for your ads, it is best practice to follow the Google AdWords text ad guidelines and have several copy variations to test. The best way to create effective ads is to test and learn. Have several versions of your ads and observe which one performs the best. Once you have identified a winner, you can increase spend on your top performing ad. Tip: Ensure that your ads match the landing page you’re sending traffic to. For example, if you have ads about your plumbing services, your landing page should talk to your plumbing services, prices and your point of difference. The messaging in your ads should match the messaging on your landing page. If you want to maximise ROI on your ad spend, ‘set and forget’ is not an approach you will want to adopt. You'll need to monitor your campaign performance on a weekly basis and optimise your ads where necessary. In doing so, you'll be able to dial up the budget for top performing keywords and reduce spend on those generating the least return. Setting up a Google Search Advertising campaign isn’t difficult to do but where most business owners get stuck is the strategy needed to generate high ROI. A successful campaign is made of many variables; keyword selection, audience targeting, ad copy and bidding strategy. Just getting one wrong can see your campaign perform poorly and leave you with a hole in your pocket. To learn how we have helped our clients maximise return on their investment, contact our search marketing specialists or give us a call at 1300 638 734.